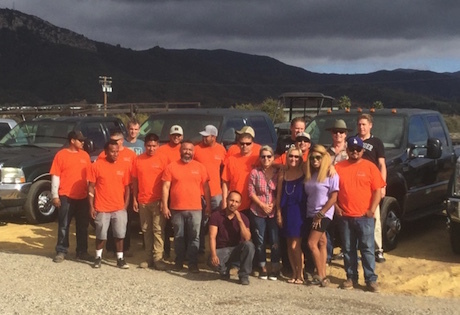 Last Friday the Carpinteria-based Total Energy Group celebrated its 30th anniversary in the presence of about 150 customers and industry friends. The company, once founded as Horticultural Labor Service by a few Dutchies, has grown from a local service company to one of the most important suppliers of greenhouse technology, installation and supervision on the West Coast. While the company is still selling greenhouse materials and horticultural labour service under the HLS-branch, the addition of the Total Energy Group in 2011 has made them an important sales company providing screening systems and drive systems to North American greenhouse builders and growers. Next to this the company is also a representative of brands like Philips LEDs, Berg Hortimotive and Holland Heater.